Welcome to our sewing machine feet page. 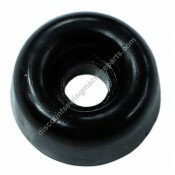 Here you will find a large selection of sewing machine feet. Click on any part to get more information including a complete listing of compatible sewing machines and alternate part numbers for a specific foot. 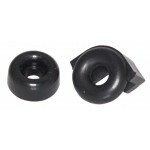 Set of 4 rubber feet for the bottom of machine. Measures approximately 5/8" in diameter and 1/4..
Set of 4 rubber feet for the bottom of old style button type foot control. ..